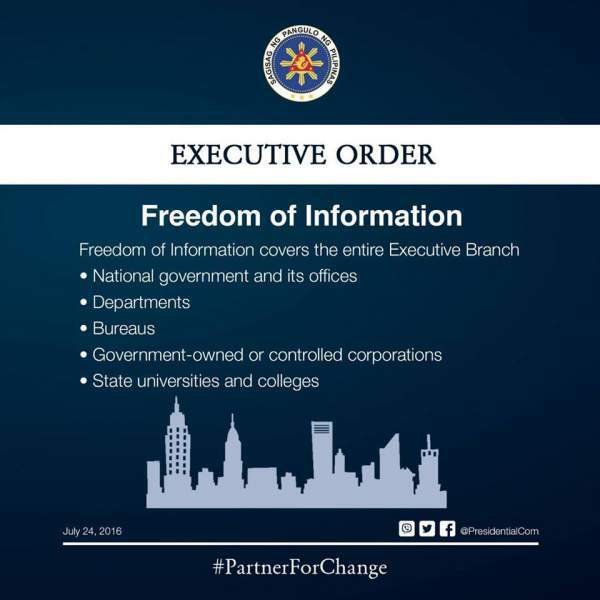 President Duterte signs executive order on Freedom of Information - Balita Boss! 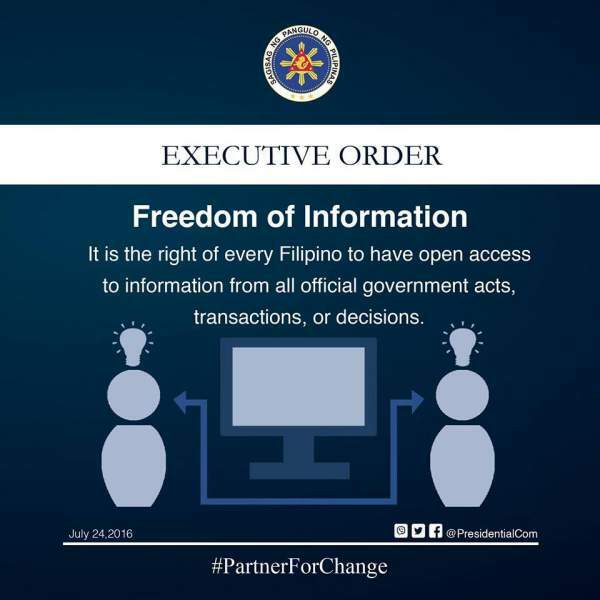 President Rodrigo Roa Duterte has signed an executive order on Freedom of Information (FOI) that allows every Filipino to have open access to information from all official government acts, transactions, or decisions. Presidential Communications Secretary Martin Andanar made the announcement Sunday morning, July 24, a day before the first State of the Nation Address (SONA) of President Duterte. The FOI covers “all government offices under the executive branch including, but not limited to, the national government and all its offices, departments, bureaus, officers and instrumentalities including government owned and controlled corporations (GOCC), state universities and colleges," Andanar said. "Access to information shall be denied when the information falls under any of the exemptions enshrined in the Constitution, existing laws, or jurisprudence," Andanar added. The second executive order of President Duterte directed the Department of Justice and Office of the Solicitor General to prepare an inventory of such exceptions and submit this to the Office of the President within 30 calendar days from effectivity date of the order. Presidential Communications posted on their Facebook page stated that the Freedom of Information "is the centerpiece of President Duterte's platform of good governance. Transparency is now a cornerstone of the Executive Branch, ensuring the public of a government that is by the people and for the people." Duterte was sworn into office last June 30 and it only took 25 days to implement the FOI. 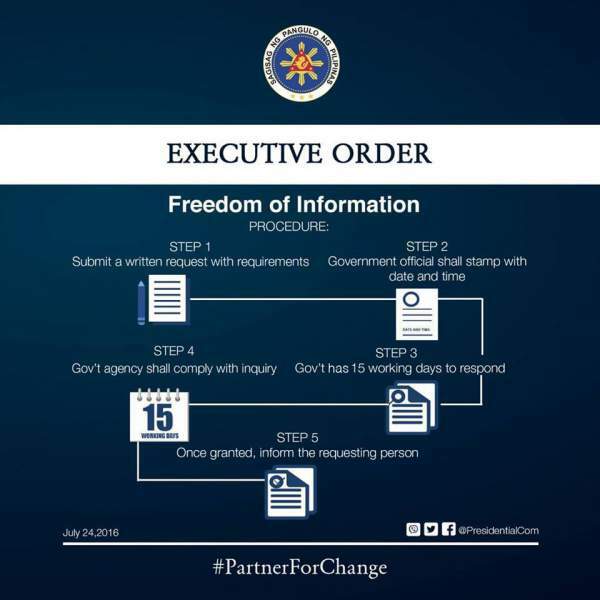 Below images are the explanation of FOI as posted by Presidential Communications on social media.